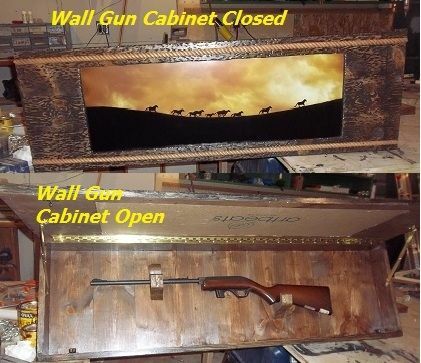 "Hide a Gun" wall mount gun cabinet. Keep a gun handy without everyone knowing about it. Western, Rustic Style. Can be custome made for anyone's tastes. 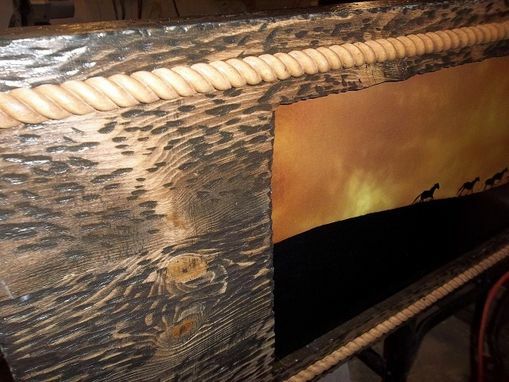 Dimensions: 50" x 14" x 4" deep.